Eastville has been the Seat of Northampton County since 1680. This is a true Colonial-Era town; the Declaration of Independence was publicly read from the steps of the courthouse in August of 1776. Eastville, Virginia is a pleasant gathering of large homes with deep shady lawns. The total population of this tiny town is around 200. See a large collection of Eastville photos. The homes around town are all private residences. You can look from the street, but please don't disturb the occupants. Near the intersection of Courthouse Road and Willow Oak Road. The large building on the green is the new courthouse, built in 1899. The Old Courthouse (1731), Clerk's Office (1731), and Prison (1814) form a remarkable group of early Virginia Court buildings. The complex is distinguished by original fittings and furnishings. The Clerk's Office contains legal records dating from 1632. A confederate monument is in the center of the green. Long ago, court days were like holidays ... looked forward to by the spread-out residents of this rural area as a time to see old friends, drink, play sports and have a good time. On the Green. In 1731, John Marshall was awarded the contract to build a courthouse, to be built of brick laid up in Flemish bond at the cost of 50,000 pounds of tobacco. He built what is now known as the Old Courthouse, though altered somewhat from its original size and from its original site, which was in the area of the Confederate monument on the Green. Near the green. Built in 1780, the Inn once had several guest rooms, lounges and a large dining room. The dining room is now a restaurant, but the upstairs is unused. 16304 Courthouse Road. One of the Eastern Shore's gem-like little churches, built in 1828. The Communion Service in Christ Church was given in 1741 by John Custis of Arlington, father-in-law of Martha Custis, whose second husband was George Washington. The hand-wrought silver alms basin was presented by Lt. Gov. Francis Nicholson who came to Virginia in 1690 and was one of the Founders of the College of William and Mary. There's one good place to eat in Eastville ... the historic Eastville Inn. Very good food, friendly service and an excellent atmosphere. Built in 1780, the Eastville Inn has been a popular and well-known hostelry and restaurant throughout the decades. There is a nice period garden in the courtyard between the Inn and the adjacent County administrative offices. The Gallery at Eastville (16319 Courthouse Road) sells local wearable art, paintings and crafts. The nearest hotels to Eastville are the Quality Inn & Suites, Hampton Inn & Suites, and Holiday Inn Express about 15 miles north, in Exmore. There are pretty homes in Eastville, and count yourself lucky if you find one to purchase. Being away from the water, Eastville has relatively few bug problems compared to other towns on the Shore. All homes and businesses have their own septic systems, so have it professionally checked if you're buying a house! The town has a lot to like ... it's historic, quiet and well located. 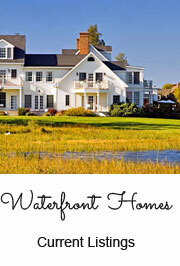 Learn about new developments on our Eastern Shore real estate page. Eastville is about 15 miles north of the Chesapeake Bay Bridge-Tunnel. The town is to the left (west) of US Highway 13 as you travel north. You'll see signs pointing into town. There are three roads that lead into town; they all lead to the center of town at the intersection of Willow Oak Road (Route 631) and Courthouse Road (Business Route 13). From the Maryland state line, travel south on US Highway 13 about 50 miles. Turn right on Business Route 13 (Courthouse Road) or Route 631 (Willow Oak Road). Either road brings you to the center of the town at the intersection of the two roads.